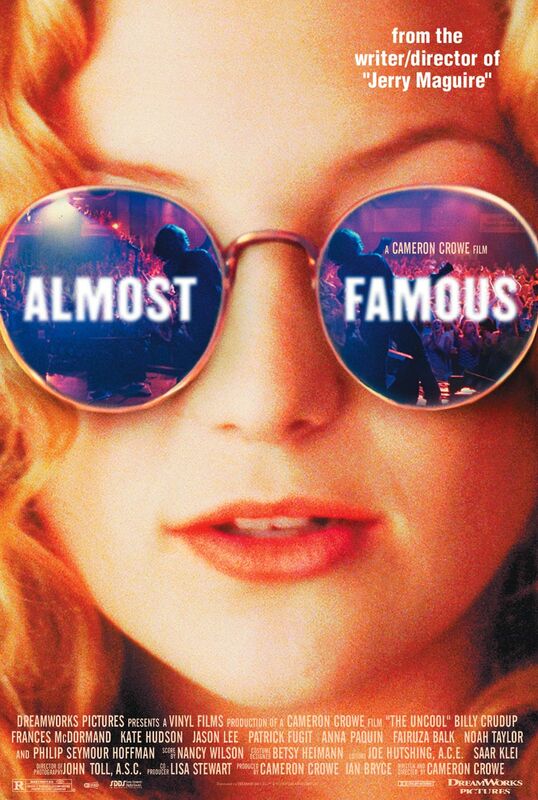 Almost Famous is a nostalgic road journey that hits all of the right notes. Patrick Fugit plays William Miller, a young lover of music who immerses himself in the industry of indulgence and free-spiritedness. Fugit generates a genuine sweetness and blends in nicely with the rest of the strong, prolific cast that includes Philip Seymour Hoffman, Kate Hudson, Billy Crudup and Jason Lee. Frances McDormand is the best supporting actress of this year (combined with her other great role in Wonder Boys); never have I seen an actress so flawlessly capture a mother's tough love. Tom Hanks and Robert Zemeckis’ second collaborative effort is a graceful, thoughtful film, a meditative, psychological journey into the mind of a man who is stripped of everything he ever owned. Broken down into three consistently amazing sequences, this film excels in the finale, where Hanks appears at the crossroads of life, a place where the future remains uncertain. Loaded with beautiful imagery, extraordinary acting (is there anyone alive better than Hanks? 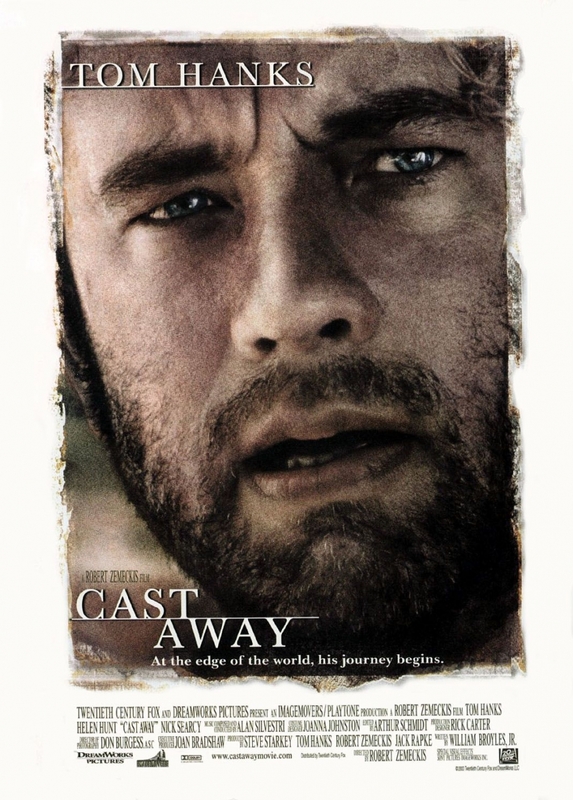 ), and understated dialogue, Cast Away is one of Zemeckis’ best films. What starts out as a creepy, spider-tingling obsession flick turns into something of a revelation: a sweet, thoroughly moving drama about a man and his dark shadow. It was a stroke of genius to cast lesser-known actors (Lupe Ontiveros, Mike White and the Weitz brothers are natural born actors; the screen loves them). 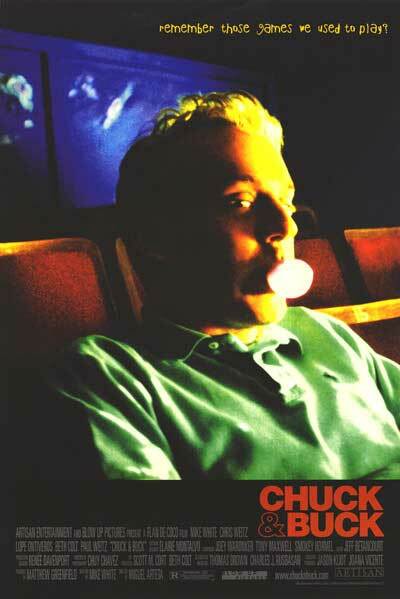 Chuck & Buck is a very daring film that so easily could have been appalling and dangerous. But it fell into the right hands and it’s a film that can be universally embraced. Greatness usually comes in quiet and surprising ways for me, but this one is an exception. Ang Lee’s masterpiece comes forward in a fabulously extravagant way, stridently and assuredly entertaining the viewer with the best of tongue-in-cheek humor, exquisite romance, and mind-blowing action sequences. What makes this one, without a doubt, the most graceful action film I have ever seen, is the emotional resonance that vibrates throughout its entire backbone. This film cares about its characters as well as its audience, and that’s the balancing act found impossible by today’s standards in Hollywood. 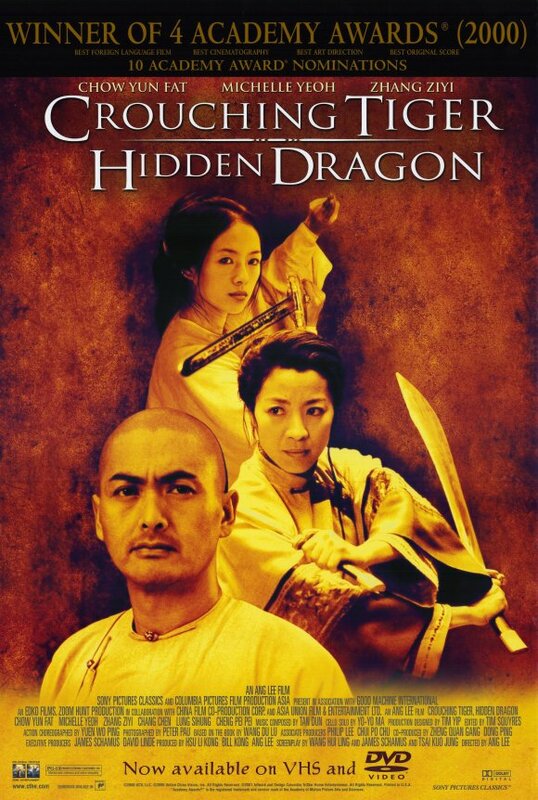 Crouching Tiger, Hidden Dragon so gallantly recycles the best of movie-making and makes it fresh. A genuinely clever and way-above-par teenage horror flick, one without a man with a left hook, razor-sharp fingers, or a Munch mask. Fate truly is the nastiest villain of them all. It doesn't get scarier than facing an unknown, unstoppable life force. Final Destination left me laughing and cringing all at once, and that last shot had me gleefully walking out of the theater. This is a corny, melodramatic time-travel thriller about a son in the present day who communicates with his father... in 1969. And yet, I loved it anyway. This great story, terrifically involving and twisty, is filmed with stylish camera work and undeniable charm by its two leads, the inimitable Dennis Quaid (looking good as always) and the fine Jim Caviezel. Frequency stuck with me for awhile, not only because of its nifty premise, but also of its sheer sweet ol’American spirit. Without a doubt, this is Jackie Chan’s best picture, one of the most fun, daring, thrilling action pictures I have ever seen. Chan’s facial expressions and comedic delivery have seriously never been better, and do I have to mention his stunt work? Usually, for this kind of picture, the plot is contrived and mechanical, and the characters are one-note and difficult to tell apart. 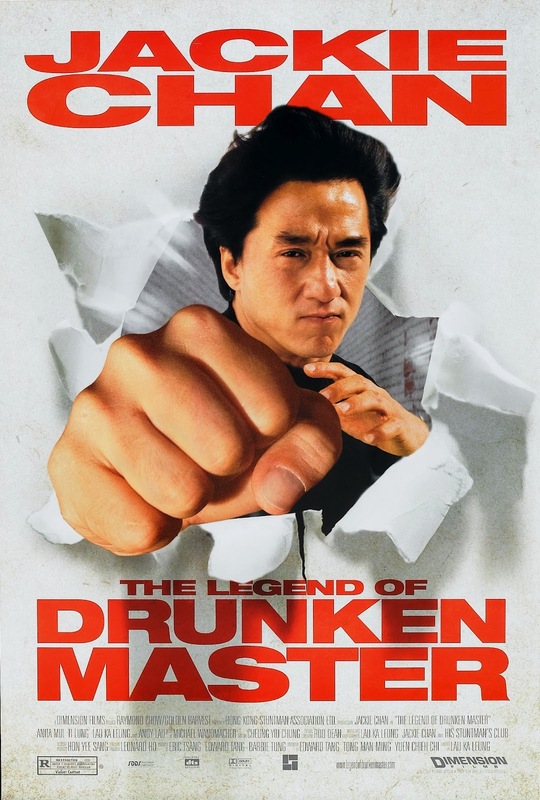 What makes The Legend of Drunken Master really work is the clarity of the characters and story; from the get-go, we understand who’s who and what’s going on. The supporting cast is brilliantly refined and comedically gifted. This is a masterpiece of its genre. Put together a love story in a sports setting, a predominantly African-American cast, and no big game in the finale -- what do you get? 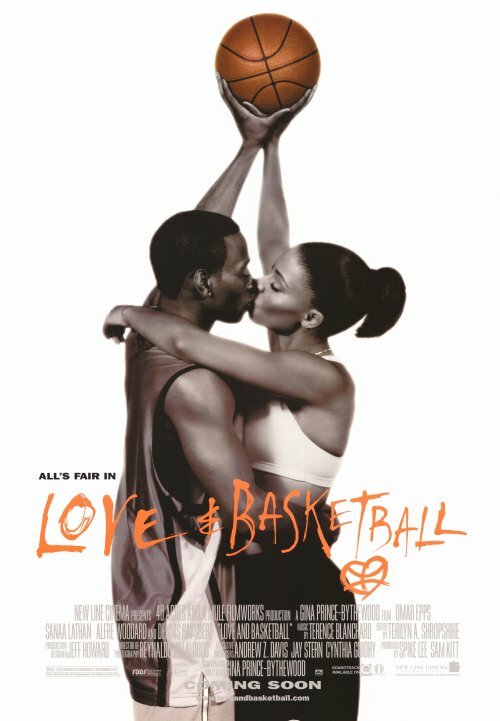 Love & Basketball, a truly tender, fresh, emotional tale that treats all characters (and the audience) with respect and dignity. Omar Epps and Sanaa Lathan (a star in the making) are exquisite as childhood friends-turned-lovers, with Alfre Woodard and Debbi Morgan standing out in a great, accomplished cast. Chalk this one up as a sleeper hit. What a surprising little comedy! At every turn, with every twist, Neil LaBute manages to stray from the conventional and aim for something new. Renee Zellweger, justly earning the Golden Globe for her role as Betty Sizemore, is a breath of fresh air as an innocent, naive housewife who goes a little too far in her obsession for a soap opera character (played with finesse by Greg Kinnear). The terrific Allison Janney, Chris Rock, acerbic as ever, the never tiresome Pruitt Taylor Vince, the always wacky Crispin Glover, and the forever brilliant Morgan Freeman all play characters who, in one way or another, are after Betty. And of course, it is Betty who is after our hearts. It doesn't happen often. I'll sit through a film in a movie theater that will make me forget about everything going on in my life. Not once will I check my watch or be distracted by audience members or take a bathroom trip. 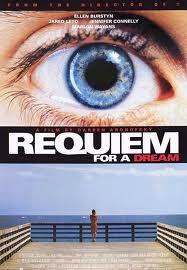 Requiem for a Dream took me in for 100 minutes, deep into its psyche, and spitted me out very shaken and very disturbed. It’s a harrowing experience, an absorbing trip into four minds spiralling out of control. Ellen Burstyn truly gets into her character, and creates a realistic, sympathetic addict. It’s an amazing performance. The rest of the cast more than hold their own in lesser developed stories, but combined, as a whole, this group of lost souls captures the true essence of helplessness. A masterpiece in sound, cinematography and editing. A very interesting experiment. In just seven scenes, for 100 minutes, we watch Ned Beatty and Liev Schrieber build a friendship in the span of one year. This conversational piece is a beautiful exercise in acting, and both stars embody these characters quite realistically. 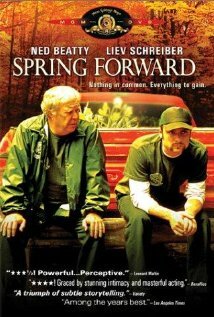 A very quiet film, like watching nature bloom and seasons change (hence the title), Spring Forward has surprising resonance. There is so little that is wrong with this film. It’s nearly perfect. 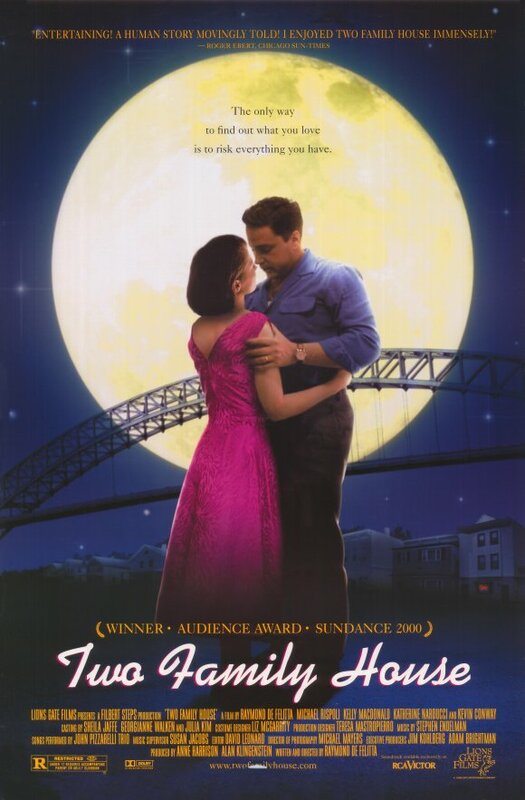 The biggest heart of any movie I’ve seen in years, Two Family House is the story of an Italian-American working class husband, circa 1958, whose dreams have been put down by his old-fashioned but well-meaning wife. When he meets a lonely pregnant woman, the man begins to see that his dreams can still be attainable without losing his dignity. Michael Rispoli delivers a career performance as Buddy Visaro, a singer extraordinaire and future bar owner. It’s a rich, beautiful portrait, one that will be impossible to forget. This kind of picture is precisely the reason I went to school to study movies. A perfectly moody comic book adventure that contains elements of serious drama and flights of fantasy. Bruce Willis adds more class to his resume as David Dunn, a seriously disturbed husband and father. The pacing is just right, and the absorbing story unfolds beautifully. I thought the final twist played out too jarringly, but the idea of it resonates strongly and makes Unbreakable as solid and wondrous as they come. Quite possibly my favorite film of the year. 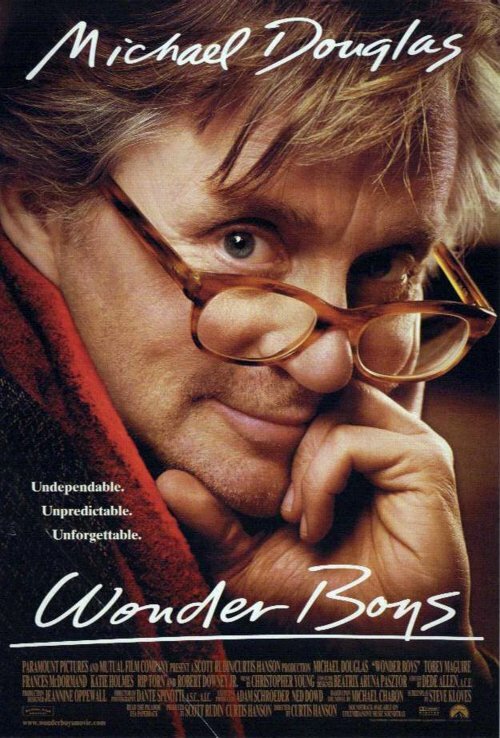 Steve Kloves’s script deserves all kudos for his creation of refreshing dialogue, memorable characters, and a terrifically rambling story of an aging professor who finds himself at a crossroads in life. As he makes his life-altering decisions on one fateful weekend, all sorts of colorful, yet realistic, individuals attribute to his journey, including his daffy book editor (Robert Downey, Jr), his depressed but brilliant student (Tobey Maguire), his intelligent live-in admirer (Katie Holmes), and his married, yet loyal, girlfriend (Frances McDormand). Every actor who embodies these characters each deserve rich acclaim, and Michael Douglas, as our irascible, lovable hero, takes the top prize. This is a quiet, truly sincere drama about domestic strife in a small town in upstate New York. Laura Linney deserves Oscar notice as a single mother who tries to juggle an outcast brother (a wonderful find in Mark Ruffalo), a precocious son (another Culkin, no less), and a prickly boss (a smartly cast Matthew Broderick). 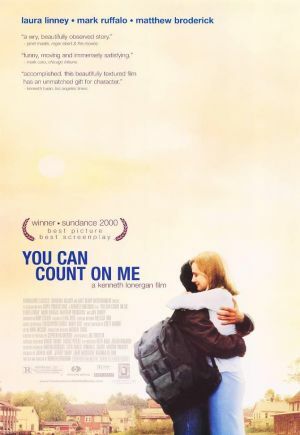 Nicely paced, sharply written, and beautifully acted, this one makes you appreciate the important people in your life. Teriffic write-ups as always, Dave! I really dig this list because there are a couple of films on here that I haven't heard of before, like Chuck & Buck, Spring Forward, and Two Family House. These and others are all going on my watch list. Having seen my list, you know my feelings on a couple of these films already. The rest on here that I've seen are a bit of a mixed bunch. 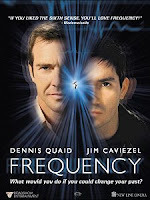 I'm glad to see Frequency on here, as that's one I regretfully had to leave off my list. Surprisingly poignant and clever film in its genre. I never quite saw the greatness in Crouching Tiger that most did. It's a good and solid martial arts flick with an unexpectedly well-told story, but I was never really moved by it and I could have done with some more variety in the fight scenes (only so many times I can see someone jump high). 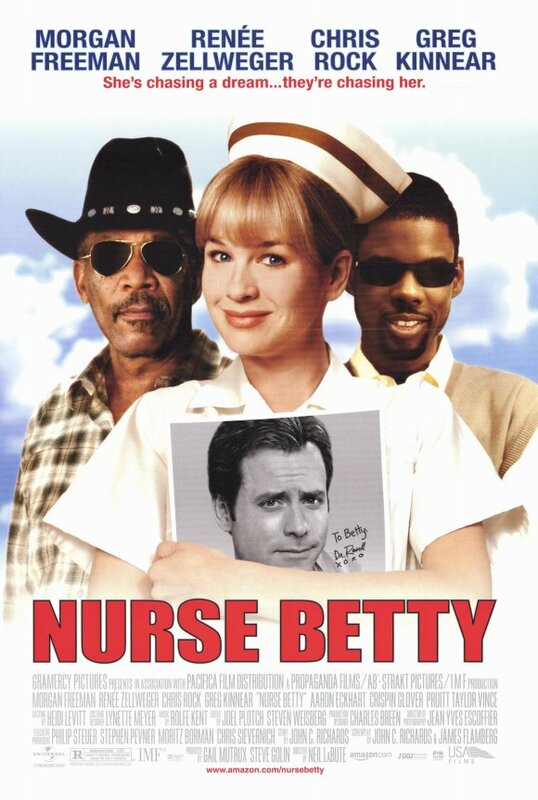 Nurse Betty was a fun little film, with Morgan Freeman and Chris Rock stealing the show with some excellent comedic chemistry. 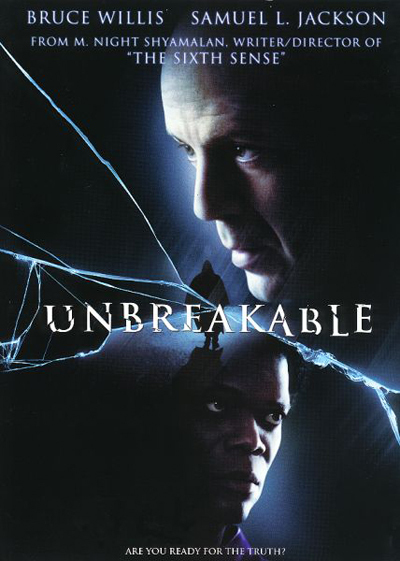 I saw Unbreakable in theater and was disappointed with it at the time. I reckon I might like it better nowadays as many people keep telling me it's actually great, but I'm not in any hurry to revisit it. 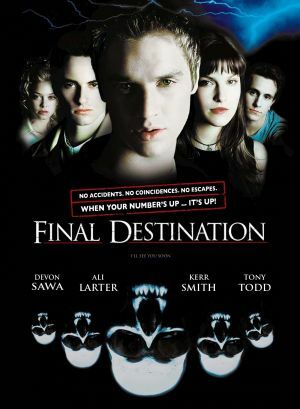 Final Destination has a semi-interesting premise for a slasher film, but mostly wastes it on nonsense. Some of the death scenes were fun, but overall, it's not a film I have much love for. I was surprised to see that I hadn't seen a single one of the films you listed. I obvious have to see more from the beginning of the millennium. Emil - As always, thanks for your comment. I've enjoyed our typical crossovers, as usual. And of course, I had to throw in Together. I just saw it recently, as a matter of fact. Maybe a few months ago. Sweet stuff. Cinemaniac - Thanks for writing. There's plenty of good stuff to mine from no matter what year you're looking at. Glad I was able to shine a light to a few of them for you. Just stopped by your blog and I like what you've done! Consider me a new follower. No love for High Fidelity? Sam, I was 23 when I first saw High Fidelity, and oddly enough, it did not speak to me. I couldn't relate to anyone in the film. Maybe I saw it on a bad day or maybe I wasn't "of age"...but it's definitely one of those titles I do plan to revisit one day since a lot of people "got it" and I simply didn't. Thanks for chiming in. I need to see Chuck & Buck again. It's been almost 10 years since my first viewing, and I think it initially creeped me out. I re-watch might make me appreciate this unique film a little more.